Grassland (west region of Cameroon) regroups a mattering number of chefferies (Bafut, Bekom, Big Bakanki, Ndop, Oku) on territories under tutelage of different kingdoms (Bamoun, Bamiléké, Tikar) belonging to the same cultural aerie. Therefore the artistic production of these groups consists of numerous styles, even so certain typologies their are common. These sub-styles, listed by the specialists, manifest themselves in the diversity of details. The wealth of the artistic production of Grassfields even led certain authors in to qualify the region of "ethnic or tribal" group such as Yoruba. The village of Babanki concentrates sculptors of fame whose production is copied or adapted in all Grassfields. This mask goes to flat on the summit of the head, the reason for which eyes are not drilled. 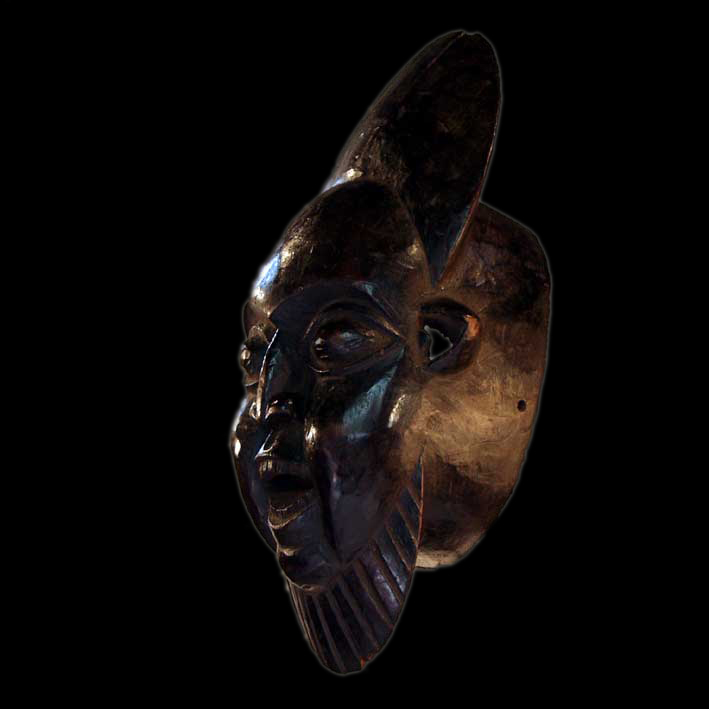 It is the haute coiffure and the presence of the beard allows to identify this mask as a mask kam (or nkam). It is the most importing mask because it is him who leads all the dances. It is the most importing mask because it is him who leads all the dances. It is thus used and sometimes even compulsory in most of the chieftainships. The lengthened face presents almond eyes and opened mouth showing teeth. 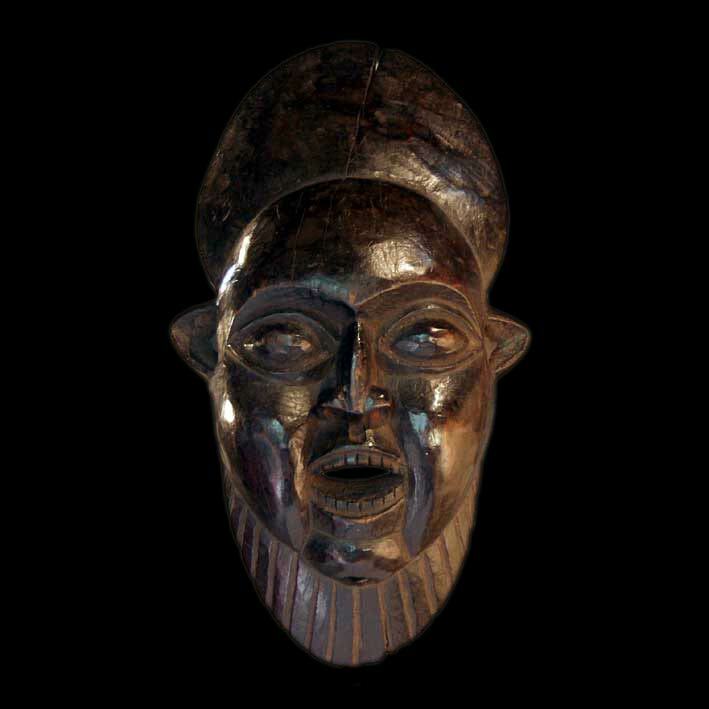 The haughtiness skates dark and the purity of the features and the volumes of this kam make a magnificent copy of this type of mask.